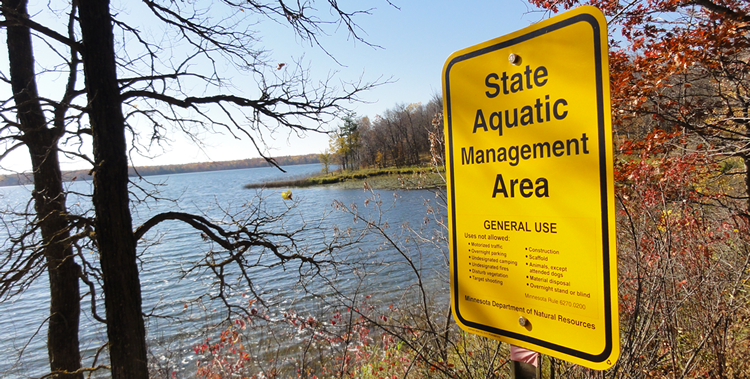 The Aquatic Management Area program administers more than 700 AMAs and 770 shore land miles in 73 of Minnesota's 87 counties. AMAs provide angler and management access, protect critical shore land habitat and provide areas for education and research. Trout stream easements, a special type of AMA are concentrated in the cold-water rich counties such as Fillmore and St. Louis. General Use: Angling, non-motorized travel, wildlife observation, hunting and trapping. Restricted use: Angling, non-motorized travel, wildlife observation. Easement (angling only): Easement AMAs are on private property and acquired specifically to allow angling access. All other uses require landowner permission. Use the filters below to find AMAs by county or type. Use the Name Search box to find a AMA by name. Not all AMAs are searchable.